M-Net Movies Action, DStv Channel 110 will show The Book of Eli on April 15, 2018, at 20h00. 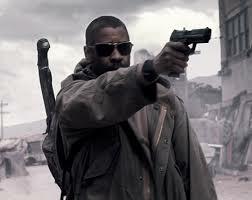 Denzel Washington drives The Book of Eli, which is a 2010 post-apocalyptic action film. A man fights his way across America trying to protect a sacred book containing secrets that could save humanity.